For the first time, Ushuaia’s ski season will present DJ nights. Celebrated DJS Marina Diniz and Ornella Maggi will lead the après-ski parties at Arakur Resort. Ushuaia, located in the southern tip of the planet, has the longest ski season in South America – snow usually starts to fall in June and its predicted to end by begging of October at the Cerro Castor ski station, located only 26 km from the city. Cerro Castor features 34 ski slopes in different levels and this year the news is that two of their main slopes are now connected – bringing another option for descending. The snow has been falling regularly in a very good quality – as well as the temperature is predicted to maintain stable around -5 to 5 C during the whole ski season. 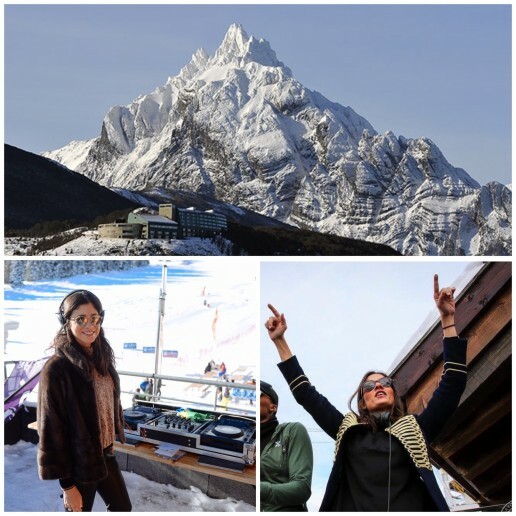 But the best is announced to happen from July 27th to 30th (Thu – Sun): celebrated DJs Marina Diniz and Ornella Maggi will take over the pick-ups, starting at noon at Cerro Castor ski station’s Restaurant 480, continuing the après-ski from 7:00 PM on at Arakur Resort’s lobby bar. The two DJs are Brazilian and with their cool music repertoire and friendly vibe have featured sessions at some of world’s best ski hubs such as Courchevel and Aspen Snowmass. The two ladies are known for cheering up Brazil’s leading New Years’ parties: the Réveillon de Trancoso and the Réveillon de São Miguel dos Milagres. Dates: JULY 27, 28, 29 and 30, 2017. 12:00 hrs – Dj sets at Cerro Castor – Restaurante 480.